Leeds United head coach Marcelo Bielsa reflects on Sheffield United victory. Marcelo Bielsa celebrated a “beautiful win” but played down the significance of Leeds United’s first victory at Bramall Lane for 26 years after a late Pablo Hernandez strike saw off Sheffield United. Hernandez punished a mistake by Blades goalkeeper Dean Henderson eight minutes from time to earn Leeds three points at Bramall Lane for the first time since the famous result which earned the club the Division One title under Howard Wilkinson in 1992. Leeds United earn three points at Bramall Lane. The dramatic winner moved Leeds back to to the top of the Championship ahead of today’s later kick-offs and handed Bielsa a third successive league victory at the end of a closely-fought derby which saw Sheffield United’s Conor Washington hit the crossbar in injury-time. 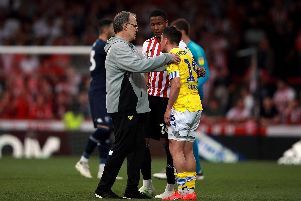 Leeds are mounting a sustained promotion bid under Bielsa and today’s result did damage to a Sheffield United side who started the day in fifth place, but Bielsa refused to read too much into the result despite the clubs’ respective positions in the Championship. “It’s always beautiful to win and I’m always happy when I win,” United’s head coach said. “If the result of the win is to be top of the table, even better. But you can’t take the risk of drawing conclusions when you have so many games to play. We never win any game easily. 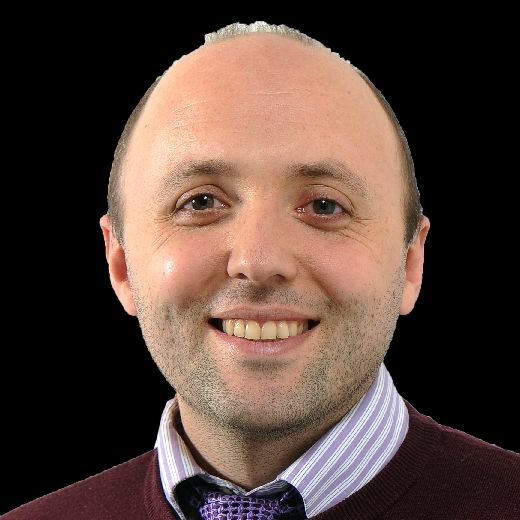 “It’s not convenient to make comparisons with other teams at this moment of the season because we’re not sure the top six today will be the same at the end of the season. But today was a serious opponent and it was hard for us to find a solution against Sheffield United. Hernandez was on hand to tap the ball into an empty net after Henderson played a pass straight to the feet of Leeds’ substitute Jack Clarke, leaving Sheffield United’s goal wide open. Clarke had taken to the field at the start of the second half as Bielsa, for the second game running, ended a disappointing display from Gjanni Alioski after 45 minutes. Bielsa heaped praise on teenager Clarke, saying: “Every time he plays he adapts to the demands of playing for Leeds. He doesn't look like a young player. Every time he plays, he makes the difference. Leeds were indebted to goalkeeper Bailey Peacock-Farrell for two important saves from David McGoldrick while the match was goalless but were frustrated by the failure of referee Oliver Langford to red card Sheffield United left-back Enda Stevens in the first half for a foul on Stuart Dallas. Stevens have already been booked. McGoldrick also went unpunished for a shin-high challenge on Mateusz Klich and while Bielsa refused to criticise Langford afterwards, Sheffield United manager Chris Wilder accused the official of hampering both sides. “There were some really strange decisions out there,” Wilder said. “He became quite involved. The best referees go about it quietly and let both teams get on with their business and he certainly didn’t.